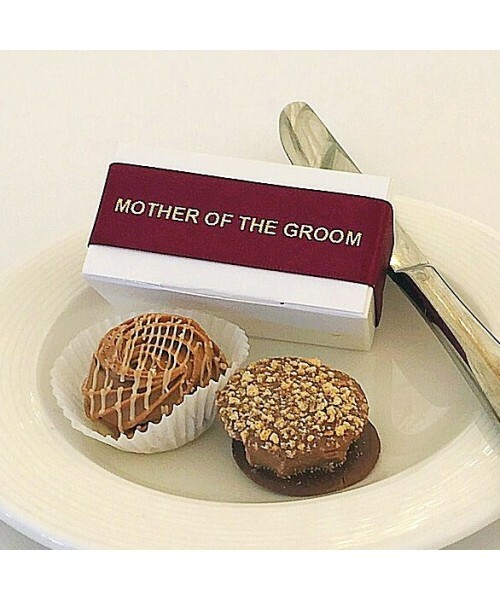 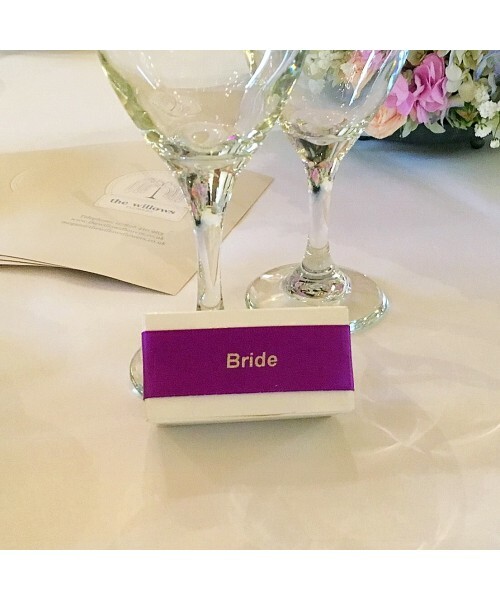 Add extra wow factor with our unique 2 in 1 chocolate filled favour gift and table place setting. 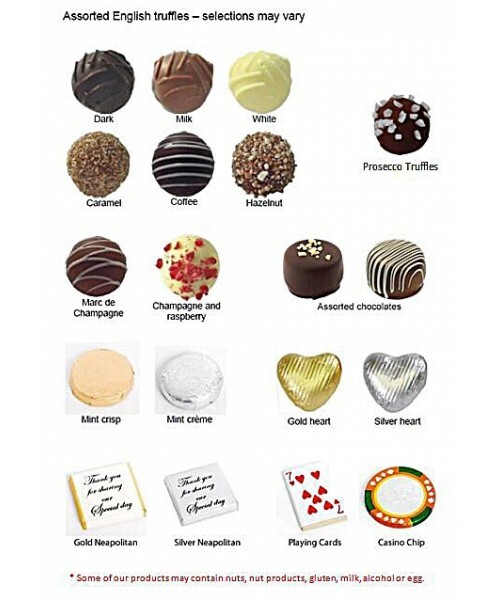 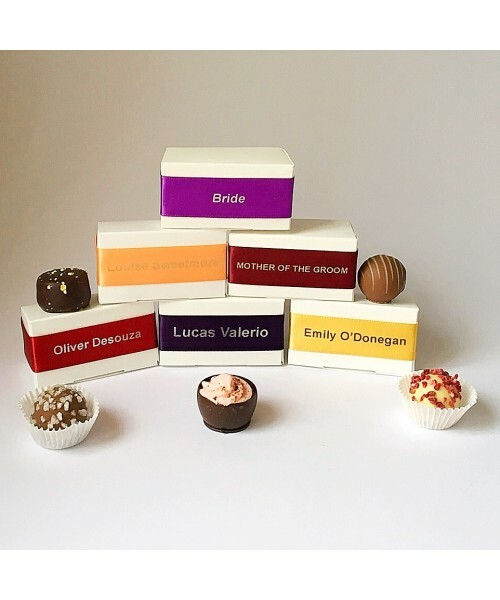 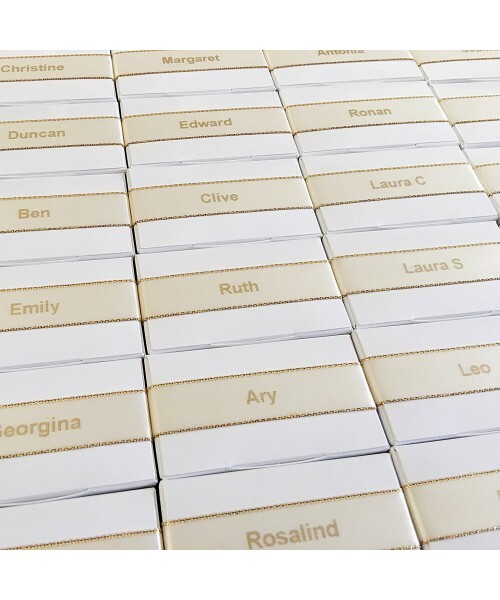 Choose your colour theme, select a delicious chocolate filling then email us with your confirmed guest list so we can customise each box with the lucky recipients name. 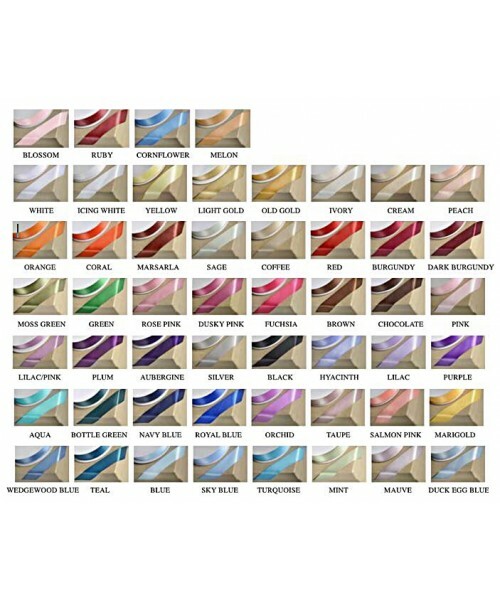 *A variety of ribbon colours available - please enquire prior to placing an order.